Remember when stainless steel appliances were only for restaurants? 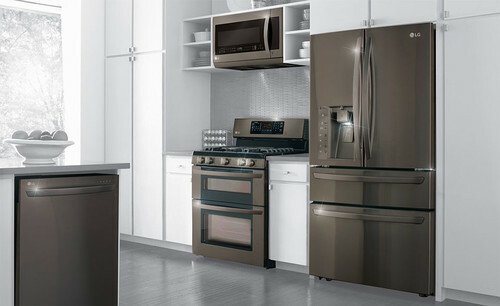 Or when “stainless” meant the sleek, gray appliances in upscale kitchens? 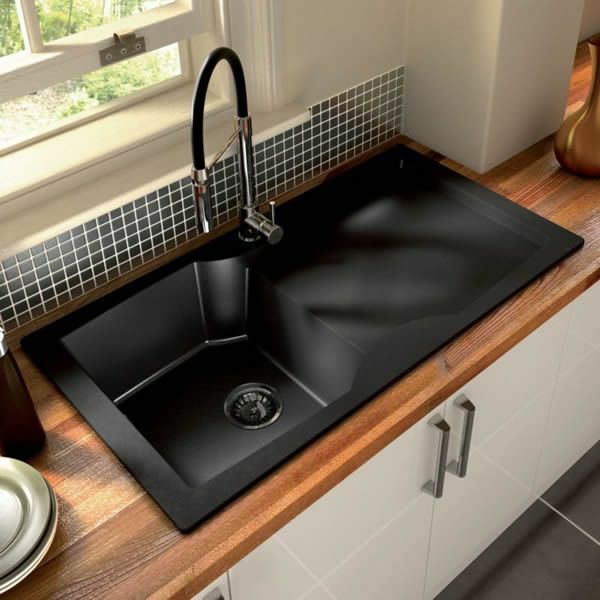 Now black stainless steel is the trend, gracing stylish kitchens across the nation. This sleek, eye-catching look is more easily incorporated than you may think. 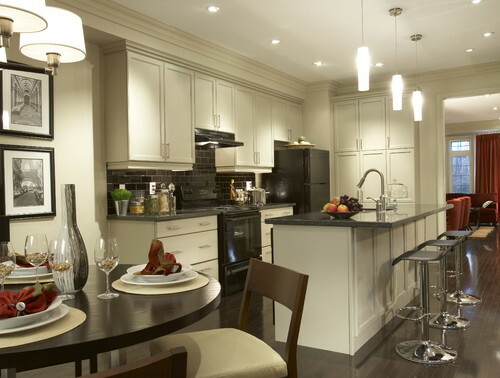 Here are a few ideas on how to prepare your kitchen for the trendy new products. Black stainless steel is surprisingly versatile. It goes with just about every color of cabinet and wood you can imagine. For example, this black stainless sink gives a sleek and streamlined look to a butcher block countertop. Black appliances may seem bold, however, these appliances and countertops add just the right pop of elegance to a neutral kitchen. Don’t be afraid of the strong contrast. Black stainless appliances look sleek and elegant in an all-white kitchen, adding an extra level of style and sophistication. Don’t be afraid to mix colors with black stainless. 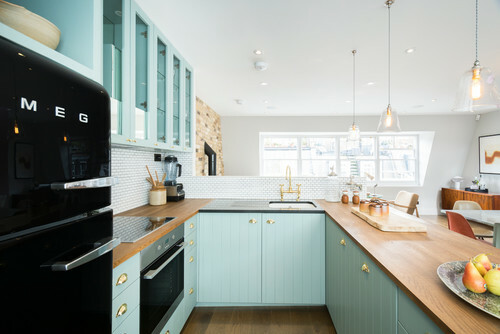 Nice contrast with the soft turquoise and black refrigerator. 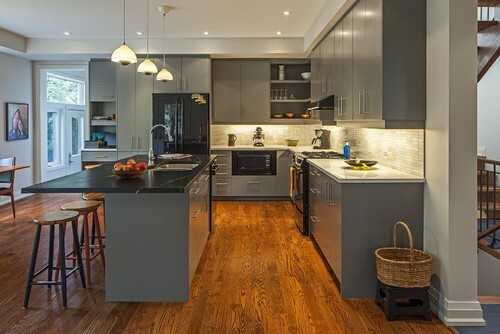 The medium gray cabinets and black appliances make for a sophisticated look and the warm wood floor warms up the space. Looking for more decorating inspiration? Stop by the nearest Hirshfield’s location in Minnesota, Wisconsin and North Dakota. We love to discuss the latest color and decorating trends.